On May 25, 2018, new EU regulations on the protection of personal data will become applicable. Therefore, we have prepared for you the necessary information below, from which you will learn how we process your personal data and your rights. Thank you for being with us and we wish you successful transactions. 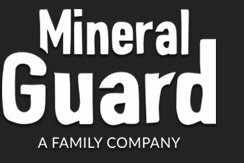 postal address: Mineral Guard Europe Sp. z o.o, ul. Jana Kazimierza 279 lok. 3, 05-126 Stanisławów Pierwszy. We received it from you in connection with transactions made by you in our online store or during the creation of an account or in connection with transactions made without the participation of an online store. What is the purpose and legal basis for the processing of your personal data by MGE? address data of the payer, delivery address data, data necessary to issue an invoice. If for some reason you do not provide this personal data, unfortunately we will not be able to conclude an agreement with you. If required by law, we may require you to provide other data necessary eg for accounting or tax reasons. In addition to these cases, providing your data is voluntary. We provide your personal data to parties of transactions that you enter with the Company and entities supporting us in providing electronic services, ie those that provide payment, credit, insurance, transport services, perform consulting or auditing services, support users, support the promotion of offers, cooperate as part of marketing campaigns. We may pass on your personal data to public authorities fighting against fraud and abuse. Due to the need to prevent certain functions from performing on the Internet platform of Internet robots, we use the Google reCAPTCH mechanism to sporadically investigate whether the behavior of users of our trading platform does not bear the characteristics of robot behavior. In this situation, we may disclose your IP address to Google LLC. maximum for a period of 1 years from the date of termination of the contract. In the case of the organization of loyalty programs, competitions and promotional campaigns in which you can take part – we will process your data for the duration and the period of settlement of awards. In order to ensure accountability, ie to prove compliance with the provisions on the processing of personal data, we will store data for the period in which MGE is obliged to maintain data or documents containing them to document the fulfillment of legal requirements and enable control of their fulfillment by public authorities. If we support you in obtaining a loan, the period of storage of your data for this purpose will be equal to the period of applying for this loan. Your personal data may be processed in an automated manner, however it will not cause any legal consequences to you or have a similar effect on your situation. Profiling your personal data may consist in the processing of your data (also in an automated way), by using them to assess certain information about you, in particular to analyze or forecast your personal preferences and interests.